Bertram's signature deep-V hull design is built to withstand the toughest sea conditions. It's sharp entry forward carries further aft and provides a smooth ride with improved tracking in rough waters. Quality materials and superior engine performance continue to drive Bertram's renowned status in sportfishing tournaments and beyond. Bertram luxury yachts are engineered with safety and optimum comfort as a top priority, reaching top speeds of up to 40 knots. These vessels are built to withstand the elements of time and provide all of the amenities for an adventure-filled extended fishing excursion. Outfitted with all of the amenities an angler would need, Bertram is known for providing the perfect backdrop to create memorable moments out on the water. 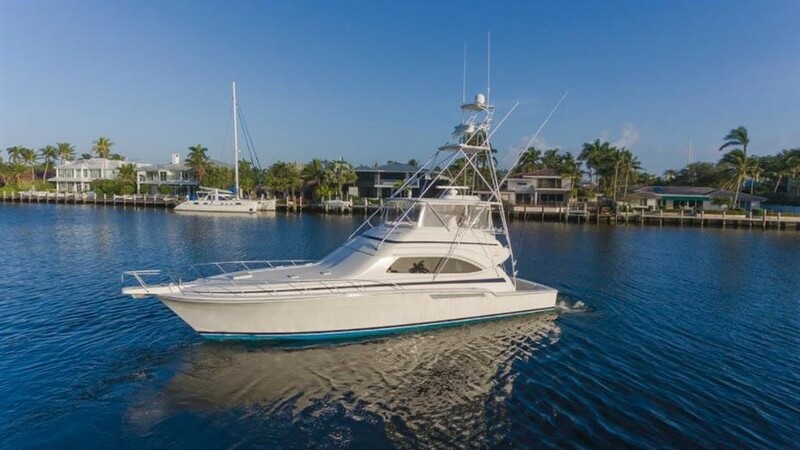 Buying a Bertram: We offer used Bertram yachts for sale worldwide, including Bertram Convertible, Bertram Motor Yacht, Bertram Express, Bertram Sportfish, Bertram Flybridge models and more! Contact our sales professionals for immediate assistance. Selling Your Bertram: With a team of experienced yacht brokers and marketing professionals, we will employ a comprehensive marketing approach to ensure your vessel receives maximum global exposure online as well as exposure in person at major boat shows. Learn more about how SYS Yacht Sales will help to sell your Bertram yacht!